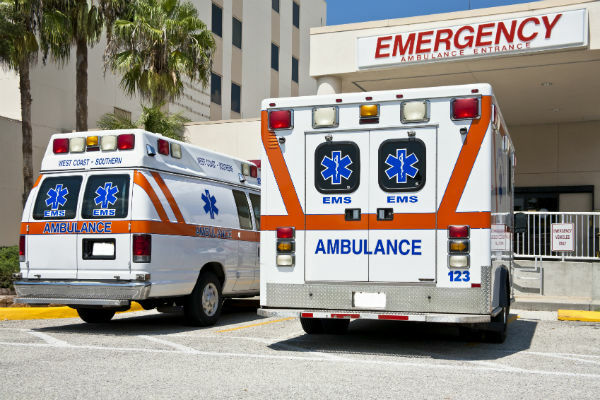 Emergency department visits increased by nearly 10 million patients in 2016 compared to 2015 data, according to a recent report the from the Centers for Disease Control and Prevention (CDC). The total of 145.6 million visits is the highest number reported. Even with the total number of visits increasing, patients who used the ED for regular care decreased. Per the report, the percentage of emergency patients with nonurgent medical symptoms dropped from 5.5% in 2015 to 4.3% in 2016. Wait times also fell; about 40% of emergency department patients had wait times of less than 15 minutes and 72% waited less than an hour. Stomach pain (12.5 million visits, 8.6%) and chest pain (7.5 million visits, 5.2%) top the list of the most common reasons patients seek emergency care. Injuries accounted for 42.2 million emergency visits (29%). The leading causes of injury were falls (10.5 million visits, 23 % of injury visits) and motor vehicle crashes (3.7 million visits, 8.1 % of total injury visits). Heart disease was the leading principal diagnosis group among the diseases that most commonly resulted in hospital admission from the emergency department. "Emergency physicians are uniquely qualified to provide essential care that patients can't get anywhere else," said Vidor Friedman, MD, FACEP, president of the American College of Emergency Physicians, in a statement. "Nearly two-thirds of visits occur after business hours, when other doctors' offices are closed. Millions of patients rely on emergency physicians for rapid diagnosis and treatment of acute illness, while emergency departments are increasingly viewed as a hub for care and care transitions." In 2016, 15.8% of patients arrived at the emergency department by ambulance, representing about 24 million ambulance transports. The number of homeless patients increased from 0.6% to 1% of total emergency visits. The most frequent source of payment was Medicaid or CHIP (37.7% of visits), followed by private insurance (31.8%), Medicare (21.6%) or no insurance (8.4%). The 2016 National Hospital Ambulatory Medical Care Survey featured 450 hospitals that were selected for evaluation. Of these, 361 were in scope and had eligible emergency departments, of which 265 participated in the study. The response rate was about 73%. The increasing number of visits is creating higher costs for everyone, especially when the patients don’t have health insurance. How? When someone goes to the ER without health insurance or refuses to pay their bill, that means higher prices for everyone — even if a person never uses the ER themselves. Of the total visits in 2015, about 30% of those cases could have been treated at an urgent care or by a family doctor. In 2015, more than 13 million people were treated at the ER without insurance. Hospital can’t get money from the patient so the costs are passed onto everyone else. Services at the hospital become more expensive to cover costs even if someone never needs treatment there. The prices eventually catch up with everyone through their own insurance provider. ER doctors do report, however, that they spend a lot of their time trying to direct patients to the appropriate course of care, not in the ER.